June 9, 2018 ~ The USA vs England Britfest match was a success. England brought their rainy weather but it was a fun, even contest with the USA winning by a goal. 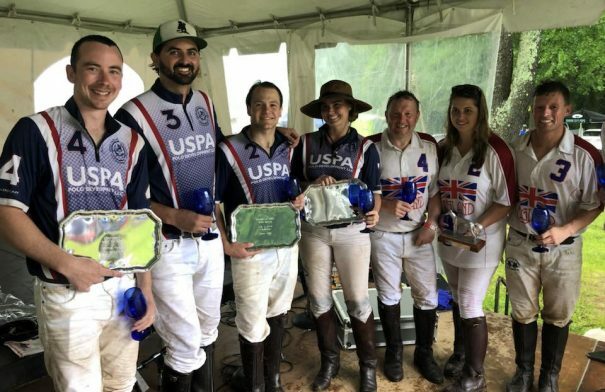 Thank you to our English friends George Shelton, Lolly Stanhope-White and Johann Spendier for traveling across the pond to play, and to their teammate Neil Agate for coming up from DC.